Where should you be investing your marketing dollars? How well do your digital campaigns do across all channels you promote them on? If these are questions you ask yourself, UTM parameters are about to become your best friend. Tracking how visitors got to your site is a pretty important task in marketing. After all, if you don’t know where people came from or what campaigns they clicked on to get to your site, you won’t know what’s working and what’s not. While this looks like a string of gobbledygook, the information it passes to your website analytics is incredibly important. And there’s a really easy way to create this valuable code below. Nearly every website in the world has some kind of tracking/analytics software. For most, it’s Google Analytics. These website analytics don’t only show you what people do when they get to your site, they also show how people got to your site in the first place. To get this information, analytics software reads some behind-the-scenes code that is sent along with the visitor when they come to your site. This behind-the-scenes code will sometimes tell the analytics software what the sources & mediums people used to get to your site. If you’re not familiar with sources & mediums, read all about them here. But many times, traffic doesn’t get this behind-the-scenes code. That’s where UTM parameters come in. 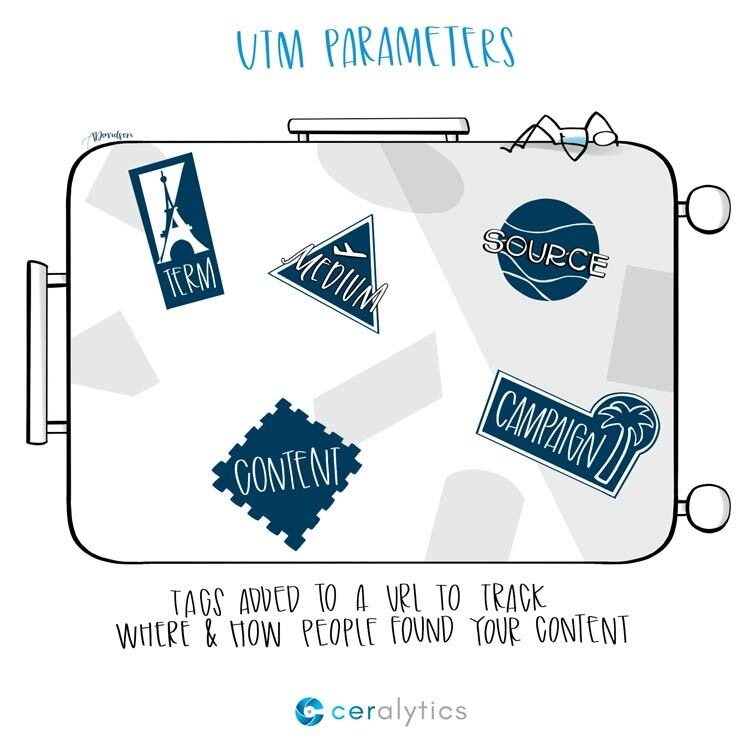 With UTM parameters, you can specifically tell your website analytics from where, how, and what campaign sent that visitor to your site. Your website analytics will then compile all of the information for those parameters to give you a holistic picture of how well your campaigns actually did across all channels. A UTM parameter has 5 components.  The campaign source is the referrer to your site. If you haven’t already, check out the sources & medium post we’ve previously written. 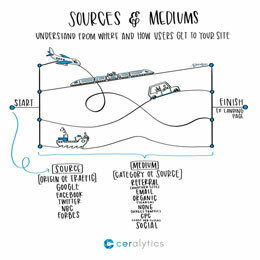 In the sources & medium’s post we describe mediums as the vehicle your visitor took to get to your site. If a link to your campaign is in your newsletter, your Campaign Medium would probably be “email.” But if that newsletter is also published on your site, you could make another UTM parameter with your medium being “website” for the version on your site. This is the shorthand name for your campaign. In the example at the top of the page, the campaign name is CampaignABC. This is one of the most important parts of a UTM parameter because it allows you to bucket every channel you use in a campaign and tie it back to a single campaign overview. This is mainly used for paid search, and will include the term that people searched for when they clicked on a search ad to get to your site. This is incredibly valuable information because it tells you what keywords people use to find products/services like yours. Campaign Content is used to differentiate versions of links you may have for your campaign that are in the same medium. For example, if you have a newsletter that has a text link to your campaign, but also a banner link, you can differentiate the links using “text” and “banner” in the Campaign Content field. You can also use this field to differentiate different ad visuals for the same campaign if you’re doing A/B testing or running different sized ads and you want to see how each size performs. You probably don’t want to be typing out 100 letter URLs by hand to create these parameters. Luckily, Google provides a handy dandy Campaign URL Builder for you to use. Just fill in the information you want and it will automatically generate a campaign URL at the bottom of the page. It’s super easy and takes a lot of work out of creating trackable links. 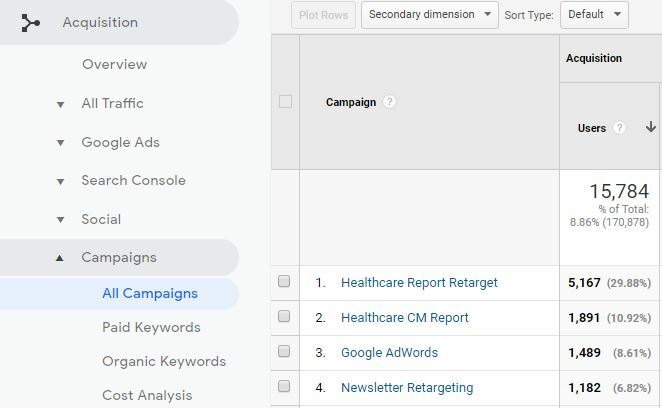 To see how well individual channels did for a campaign, just click the campaign name in this view, and it will drill into the campaign to show you how much inbound traffic you received from each source & medium. Now you can see how well your campaigns did across all of the channels it was promoted on – including inbound traffic, how long people stayed, and Google Analytics Goals. However, this only works if you tagged the URLs that you used in those channels with the correct UTM parameters to begin with. Adding UTM parameters to every link you promote is the best way to get great campaign-level data in analytics. So the next time you are creating a campaign, tag each of the URLs you use for promotion with UTM parameters and you’ll be able to fully measure the impact of that campaign and each of its individual channels.